From dawn until dusk Spain vibrates with life and culture like nowhere else on the planet. With heritage, culture and food at its heart it is an amazingly diverse country and our cycling holidays in Spain are the perfect way to really 'get under the skin' of Spanish life. 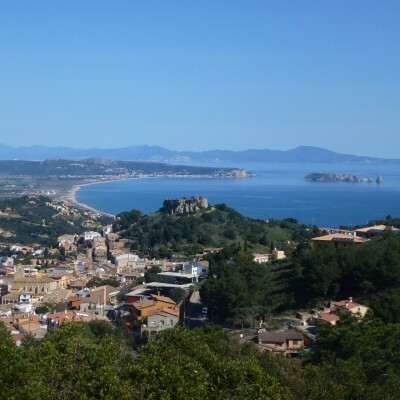 When it comes to cycling, we have routes for every taste and ability, and this is reflected in our choices of holidays; focused on two unrivalled areas of Spain. 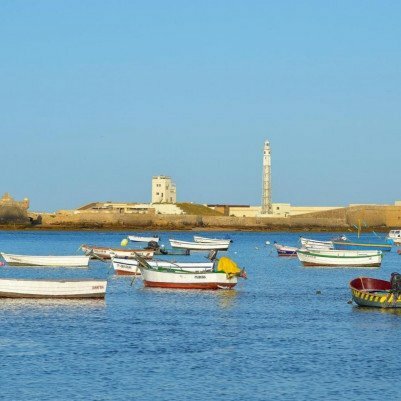 Choose from routes offering a taste of classic Spain to lush wetlands and the flamingos of Terres de l'Ebre in Southern Catalunya or pretty Girona offering quiet country roads, mediaeval villages and stunning coastlines. Packed with contrast and variety, this easy 4-night cycling tour takes in the unspoilt Catalan coast, passing through olive groves, peach orchards and stunningly beautiful, pretty coloured villages. All the hotels have pools and 1 night is spent in a luxury C14 castle. This 8-night holiday explores the wonderfully undiscovered Catalan countryside, a region of pine-fringed valleys dotted with historic castles, hilltop fortresses, ancient wine villages and beautiful countryside. It's wonderfully quiet cycling too, where you can discover unspoilt Catalunya. Packed with contrast and variety, this easy 6-night cycling tour takes in the unspoilt Catalan coast, passing through olive groves, peach orchards and stunningly beautiful, pretty coloured villages. All the hotels have pools, and 2 nights are spent in a luxury C14 castle. 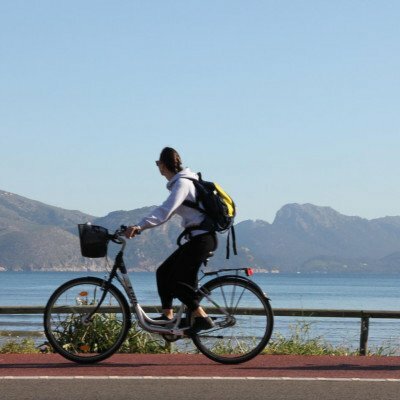 Follow the unspoilt Catalan coast on this easy 8-night cycling tour. Our varied routes take you through olive groves, peach orchards and stunningly beautiful, pretty coloured villages. All the hotels have pools, and 2 nights are spent in a luxury C14 castle. Combine a stay at the beach with a choice of gentle walking and cycling routes for an active family holiday. 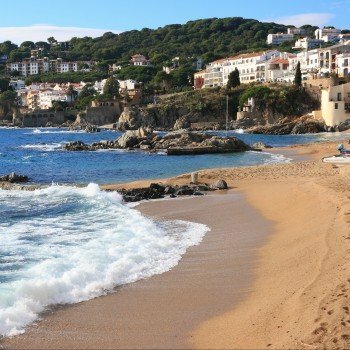 You stay in the fishing village of Calella de Palafrugell, where the rocky coastline has a number of small coves, nearby, to explore. We provide a range of fully researched, self-guided walking and cycling routes, typically at Activity Level 1. A complimentary Headwater bike for your exclusive use throughout your stay is included to give you total flexibility. What is the best time of year for cycling in Spain? We think the cycling season is best from March through to October although we understand that everyone has different preferences which is why we offer a variety of holidays throughout spring, summer and early autumn. If you'd like to see what a Spanish summer is really like then our trips during July and August might well be for you. If you'd prefer to cycle in a cooler clime, we'd recommend booking a holiday either side of July and August. What is included in the price for our Spanish cycling holidays? All our Spanish cycling holidays include, as standard, transfers from both airports and hotels, 24hr support in the resort, luggage transferred from each hotel, high quality hybrid bikes, either GPS or detailed instructions and maps and all breakfasts along with the evening meals specified in your itinerary. What abilities are catered for on our cycling holidays in Spain? Our cycling holidays are perfect for everyone who enjoys riding a bike. To help you choose a holiday that best suits your level of fitness we've assigned each one with an activity grading system based on distance and ascent. We've also marked each trip with an Activity Rating level on the holiday pages and in our brochure. If you are at all concerned, you can filter the holidays by the activity level so that you'll only see the ones you'd be interested in doing. Some of our holidays offer a choice of routes and both Activity Rating Levels will be shown for these. Additionally, we've included a + plus sign to denote some sections that are slightly more challenging that the overall grading. Will Headwater arrange travel to and from Spain? Of course. Our experienced team is dedicated to finding the best travel options for you and from your preferred departure airport. We have access to a host of flight options including British Airways and other lower cost alternatives. Is customer service available 24/7 in Spain while on holiday? We are on hand 24/7 for all of our customers on holiday. Our overseas team is comprised of experienced Headwater reps, local partners and hoteliers who are ready to field any questions or tackle any problems that arise.